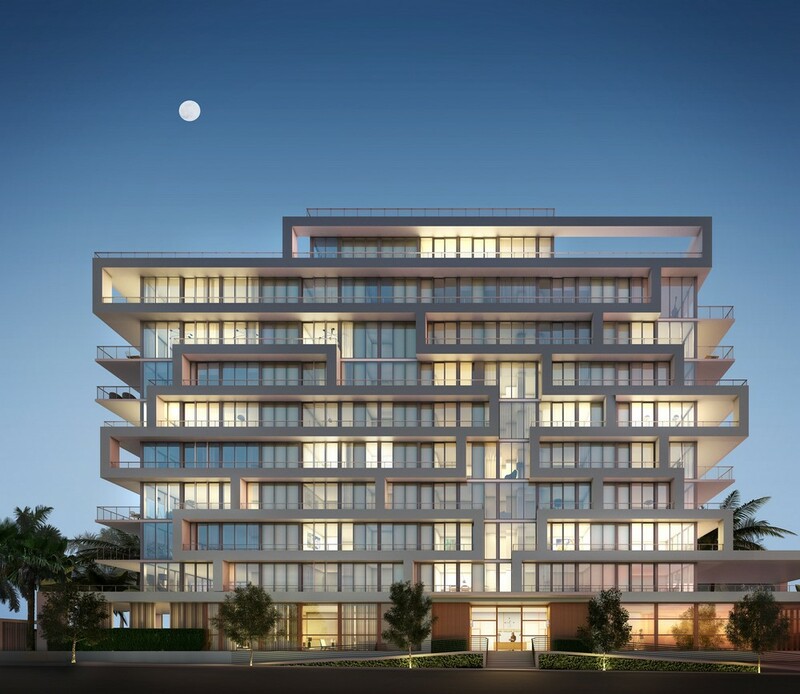 Beach House 8 in Miami Beach is a luxury 10-story building, developed by Ugo Colombo and the firm Arquitectonica and located east of Collin Avenue. 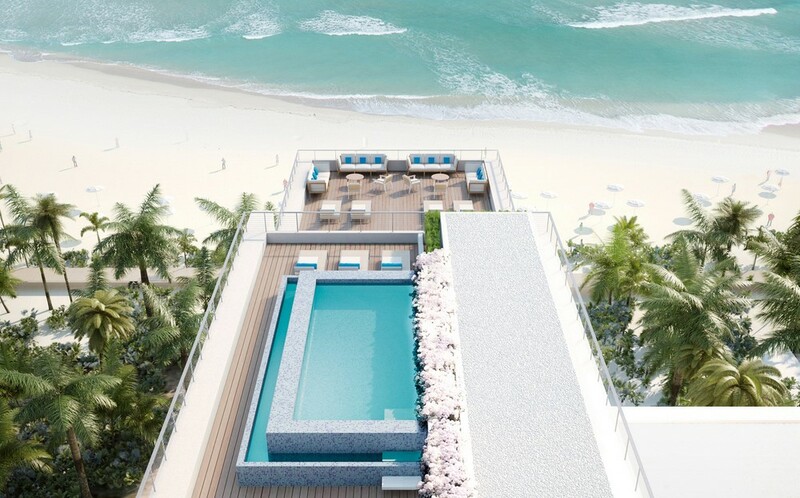 Beach House 8's signature features will include the airy 14-foot ceilings at the entry, wood-paneled drawing rooms, decking finished in Mauritian Teak, a beautiful garden waterfall, and a full suite of five-star concierge services. With a distinctive facade, Beach House 8's architectural design with unique terraces and balconies for each floor-through residence. The building features only 8 residences in total. Amenities include private cabanas, a 75-foot pool with Jacuzzi, a spacious on-site underground parking, 24-hour doorman, a yoga terrace, a splendid lounge, a fully equipped technogym. Beach House 8 features exclusive concierge service providing unparalleled access to a myriad of services, including dining, entertainment, travel, move-in coordination, cultural events, and more. 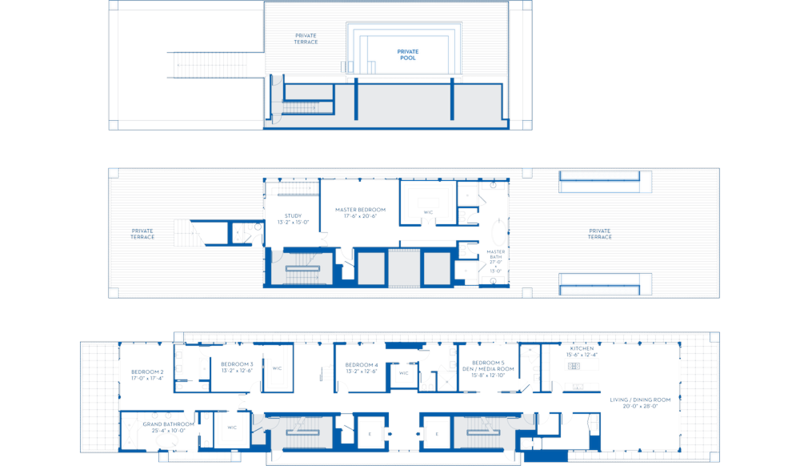 Residences feature 4 bedrooms, 4 bathrooms, private terraces, floor-to-ceiling windows, energy efficient LED downlighting, Lutron homeworks lighting control system, Crestron home automation system, lighting and window treatments, Crestron excite speakers in all rooms, security system. Each kitchen in Beach House 8 combine immaculate design with ultramodern amenities and appliances, including, for instance, professional-grade stainless-steel gas ranges, Boffi cabinetry, a variety of Miele appliances, including double-ovens, refrigerators, warming drawers, dishwashers, whole bean coffee system, wine coolers, washers and dryers. Countertops and backsplashes are made of large-scale slabs of Calacatta Gold stone, quarried in Italy. 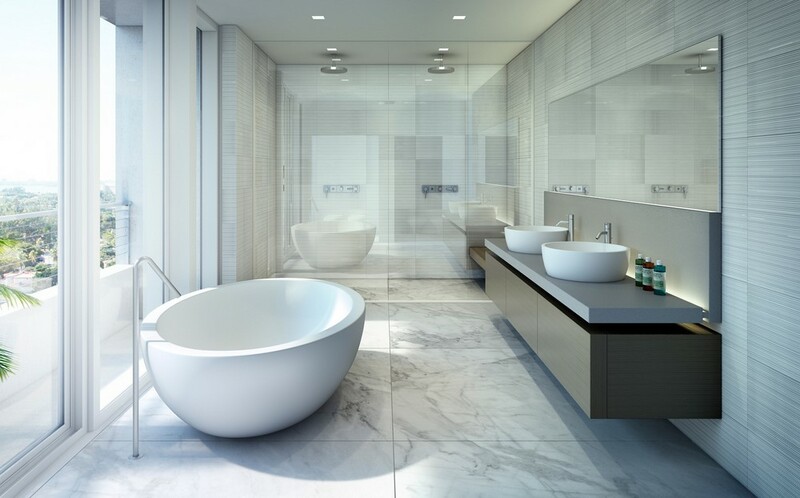 Bathrooms in each residence of Beach House 8 are feature the dual ceiling, wall rain-shower heads in each master bathroom, substantial slabs of Italian-quarried Travertine, Carrara marble, stone surfaces for flooring, walls and countertops, Boffi, Duravit, and Dornbracht cabinetry and fixtures. Beach House 8 also has feature a remarkable two-level 5-bedroom 5-bathroom duplex penthouse with some 6,000 square feet of outdoor living space, offering mind-blowing ocean views across a sweeping private deck. The penthhouse has a master guest suite and a landscaped private plunge pool.